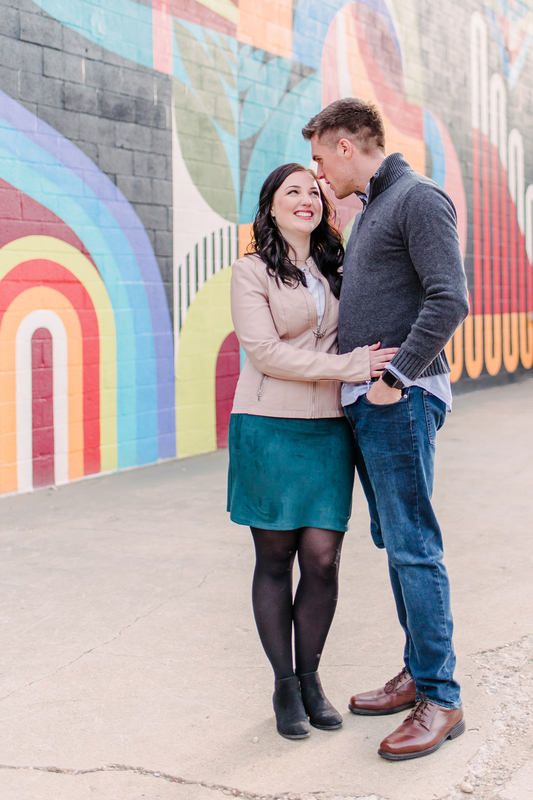 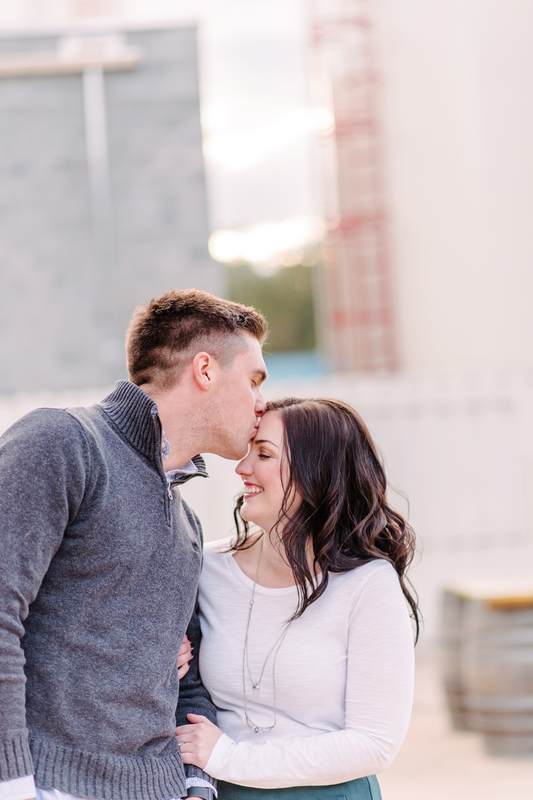 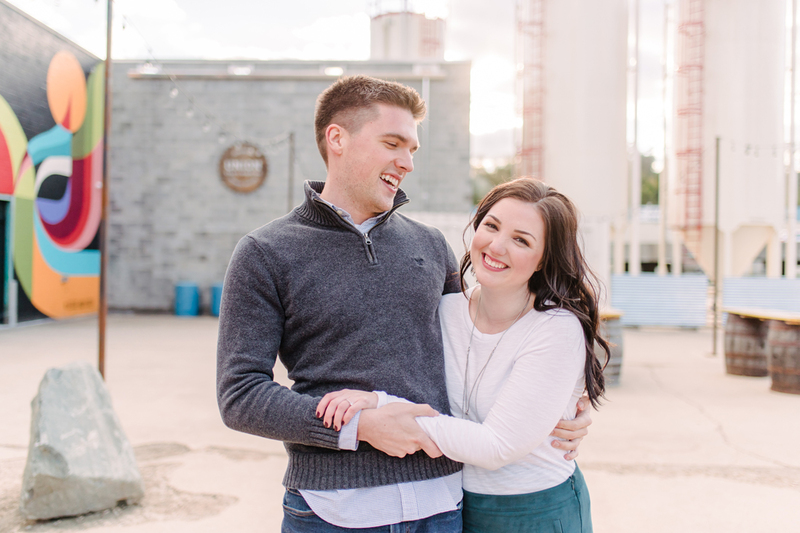 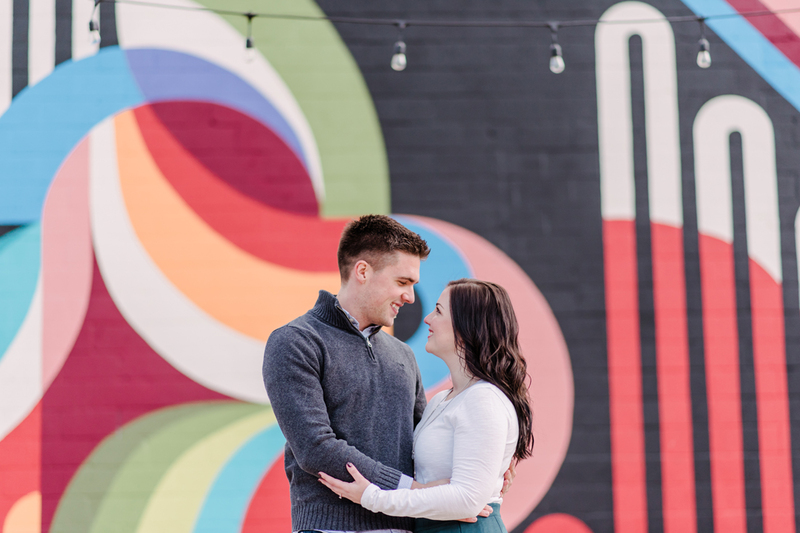 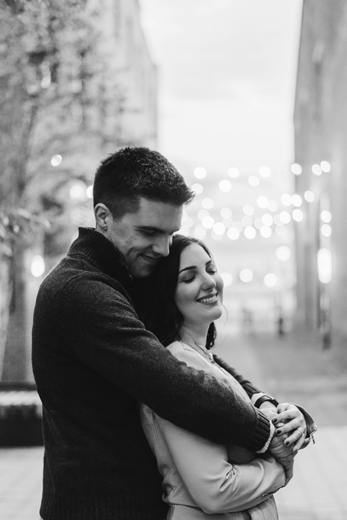 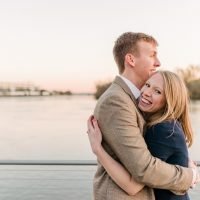 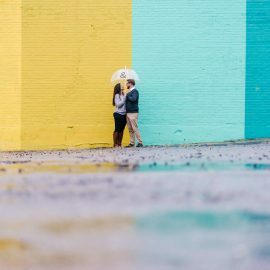 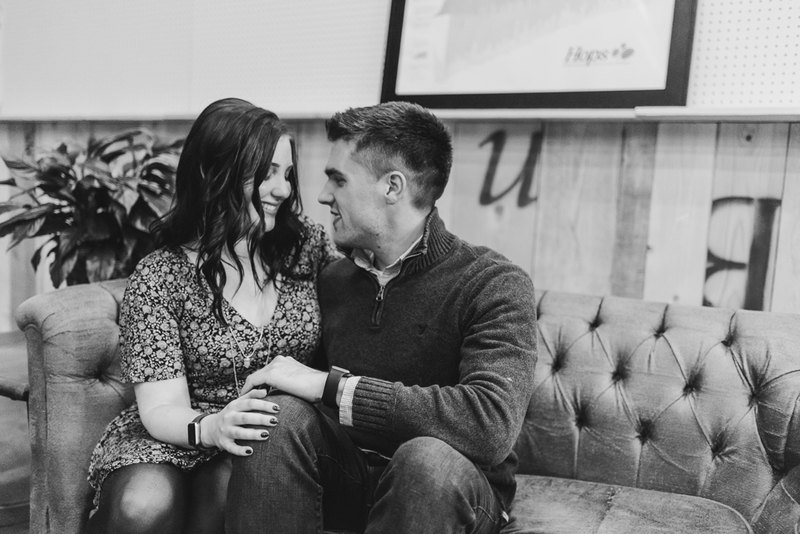 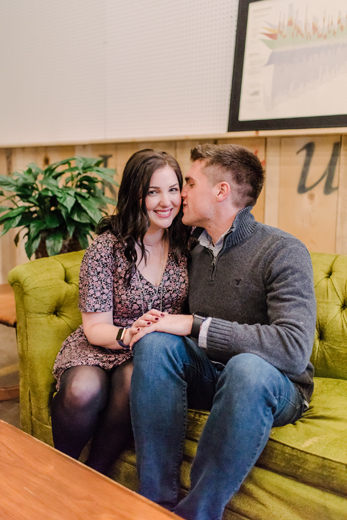 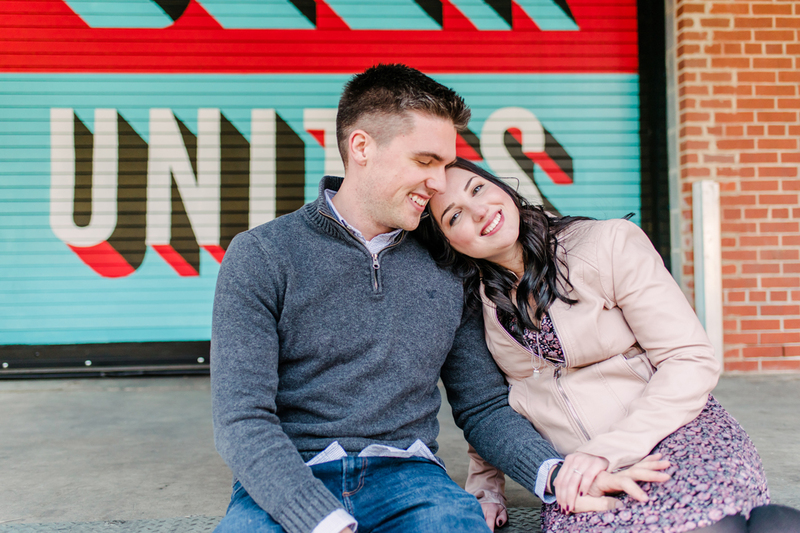 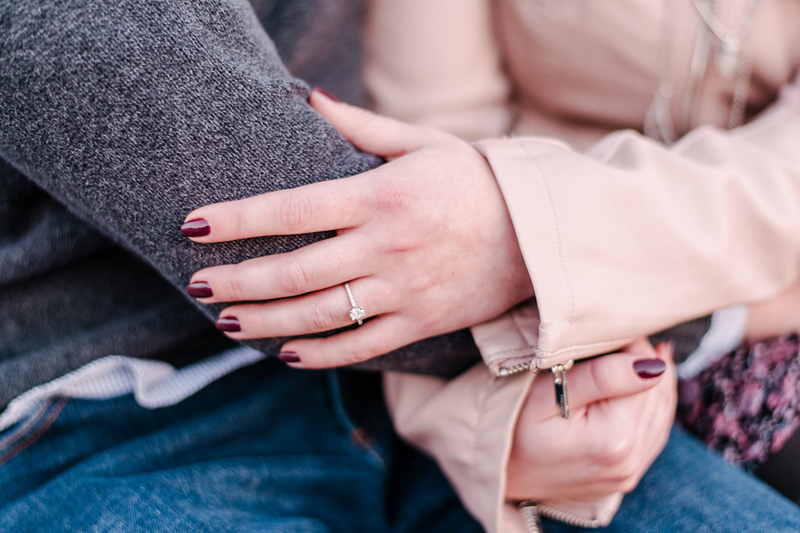 I'm finally getting caught up on so many fun sessions from 2018 and this week is the perfect time to celebrate these two, because we're officially 2 months from their wedding date! 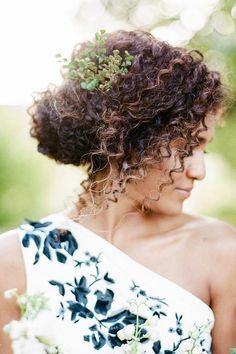 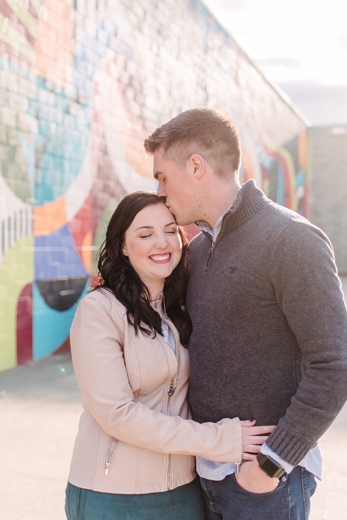 And looking through this session again had me feeling all the joy! 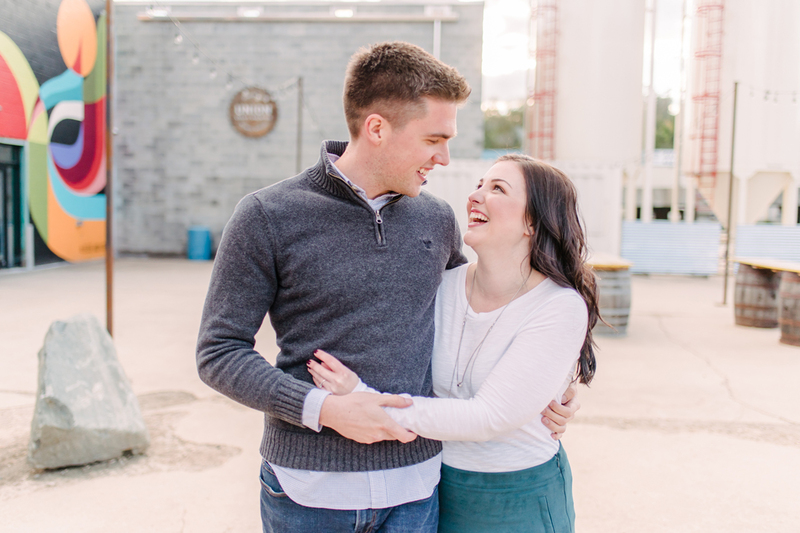 These two make each other laugh and smile so effortlessly, and their happiness is contagious! 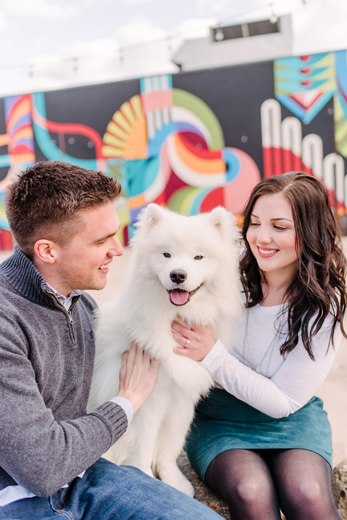 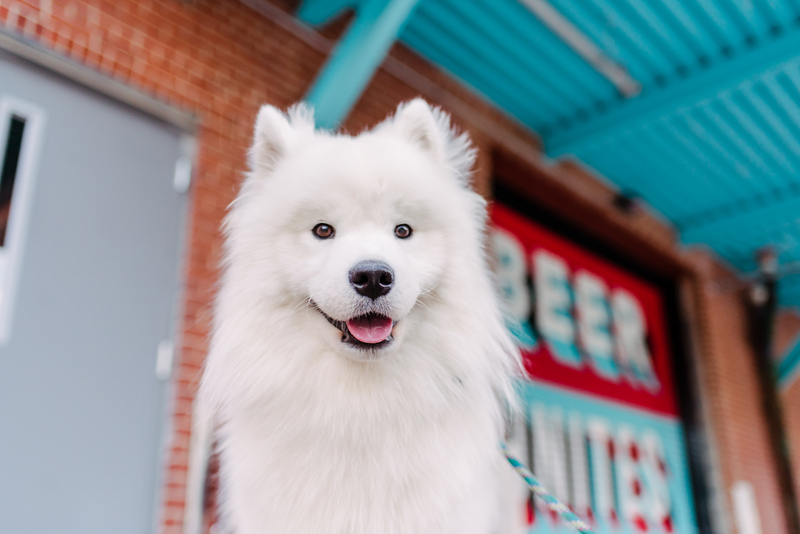 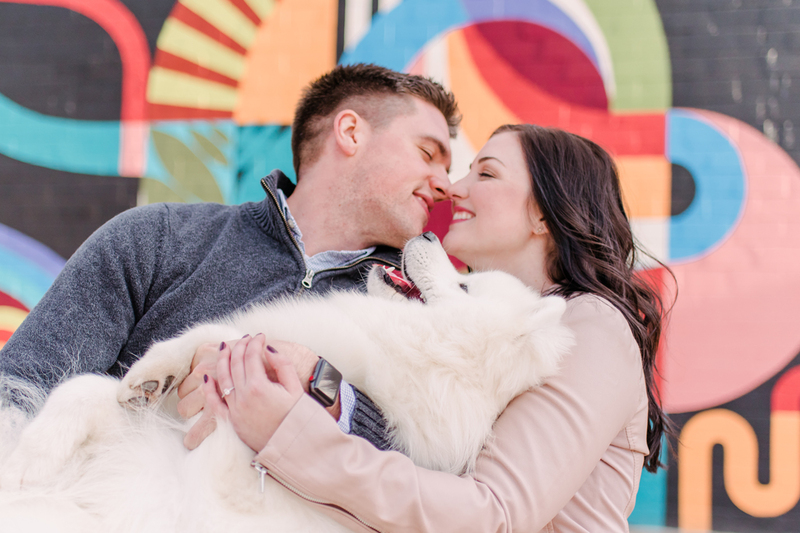 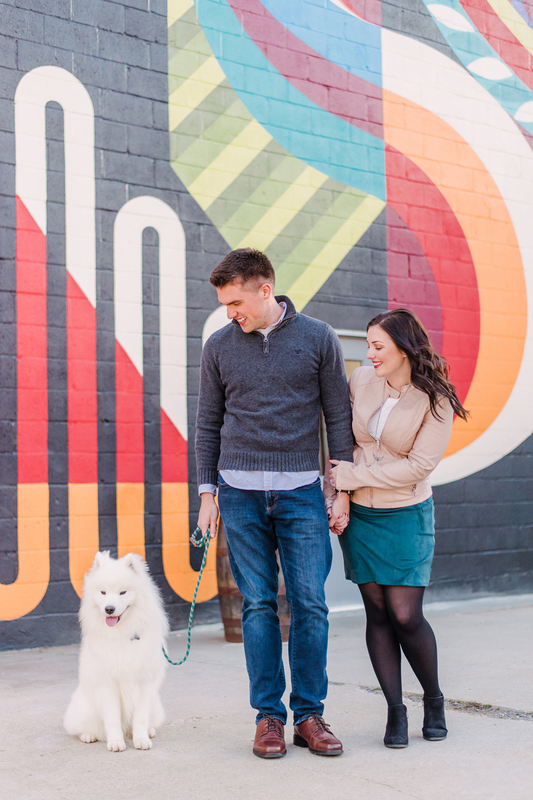 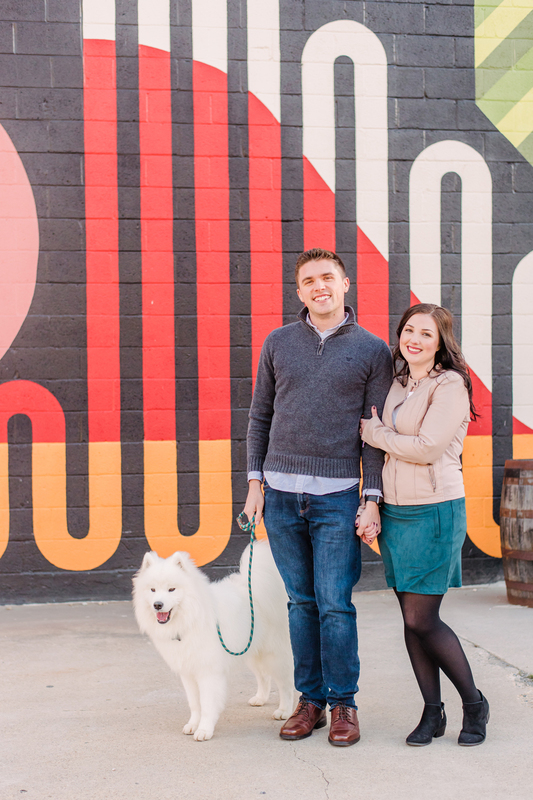 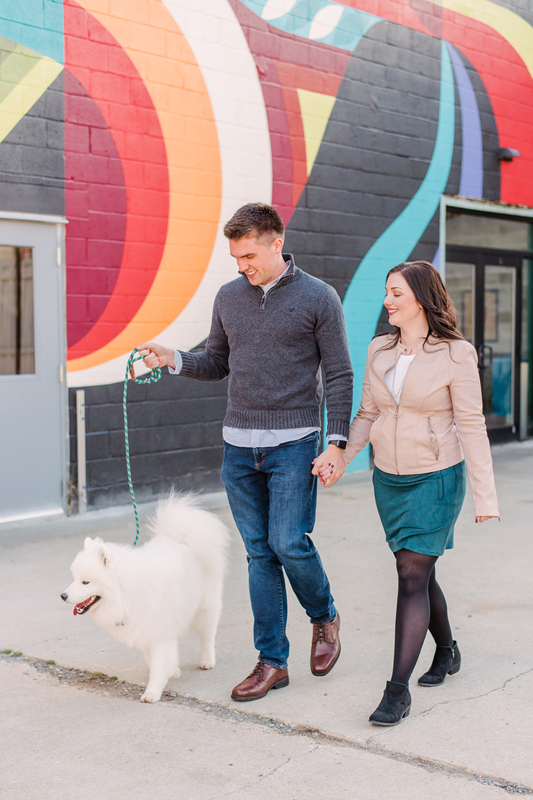 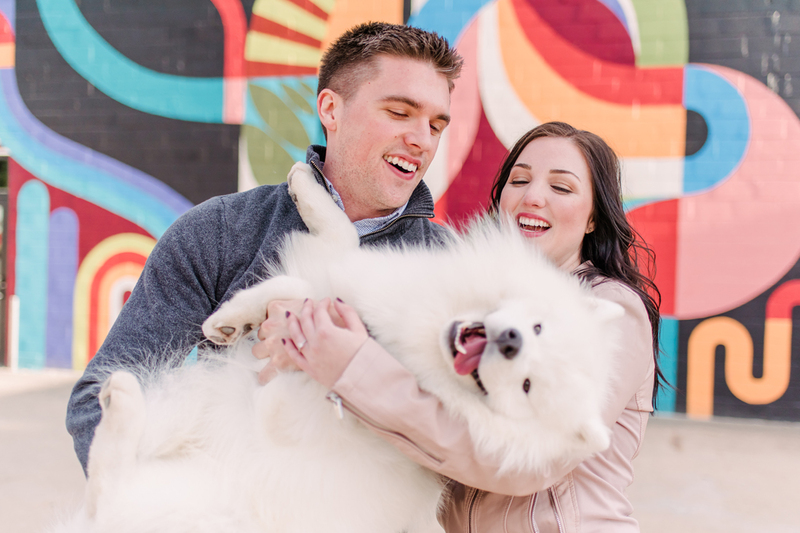 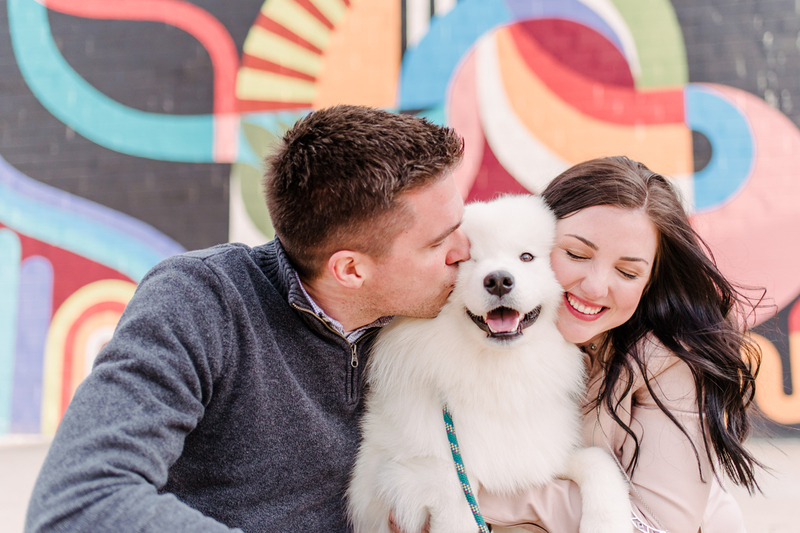 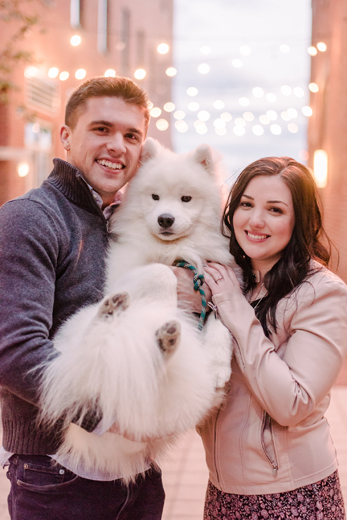 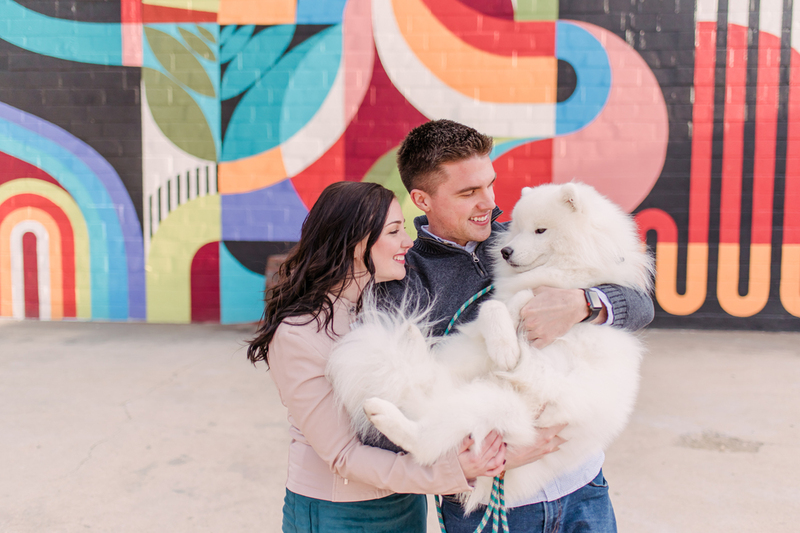 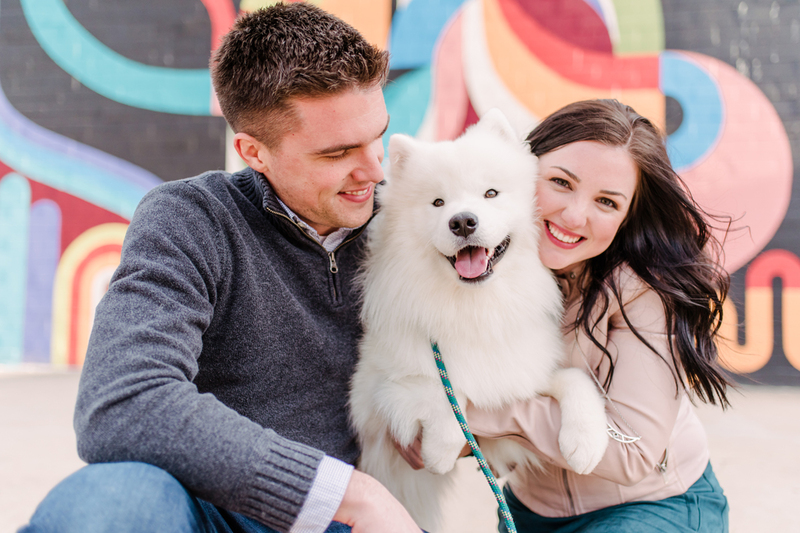 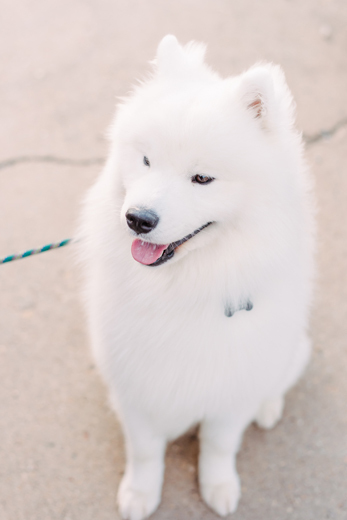 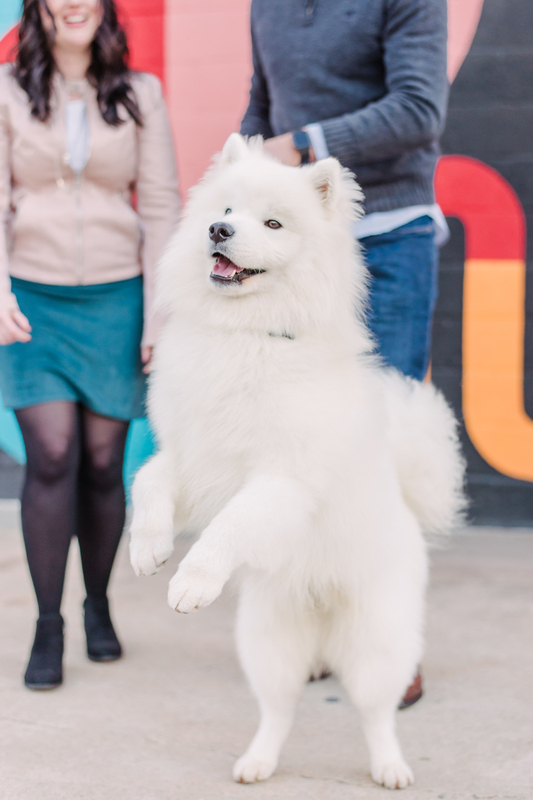 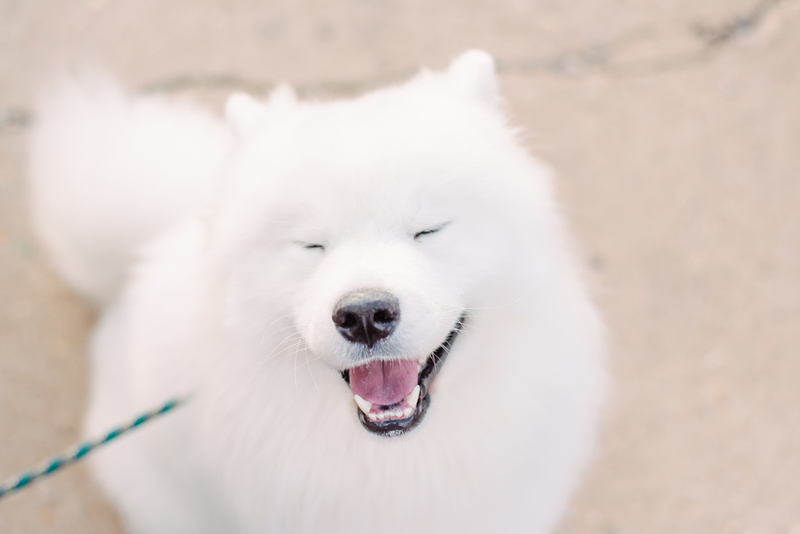 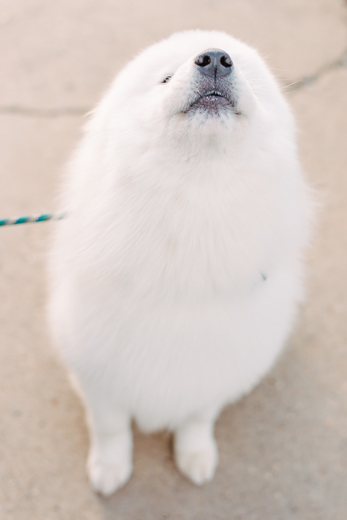 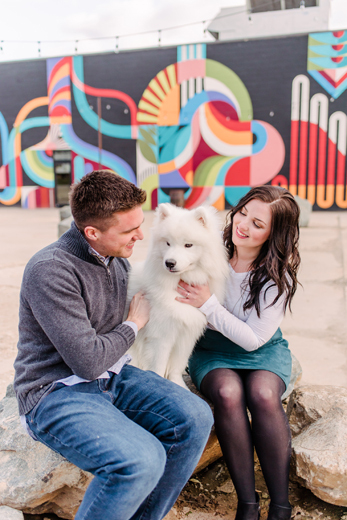 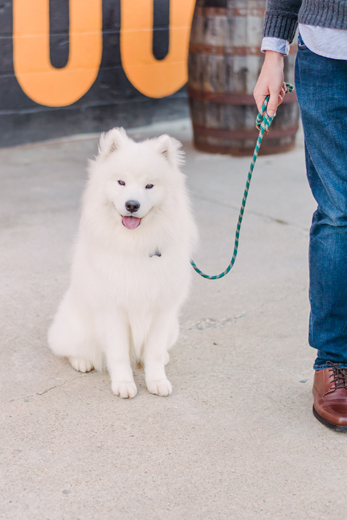 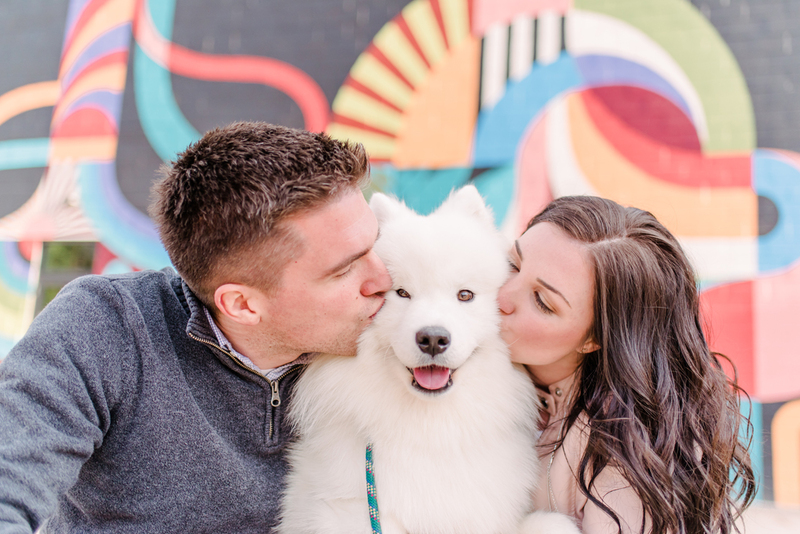 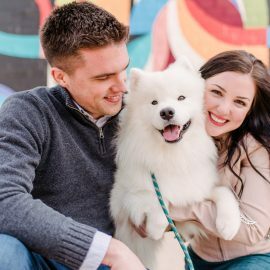 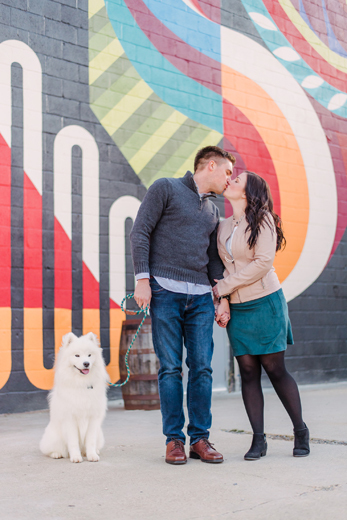 I adore Amanda and Dan (and their sweet fluffy baby, Sonny Jim the Samoyed! 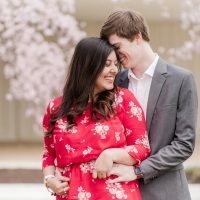 ), and I've been hoping I'd get to have the honor of capturing their wedding day for years now! 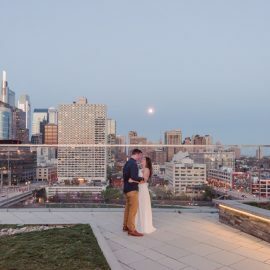 I got to first photograph Amanda at her sister Kristin's wedding, and their family knows how to have a beautiful and fun party!! 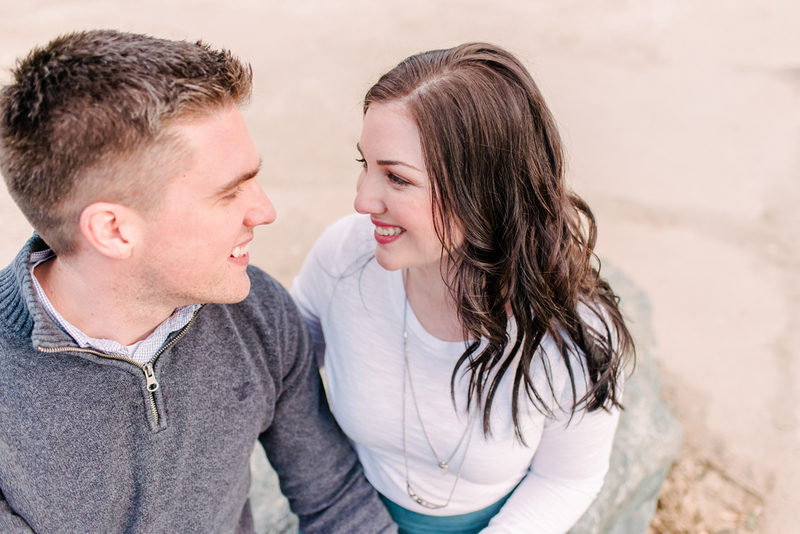 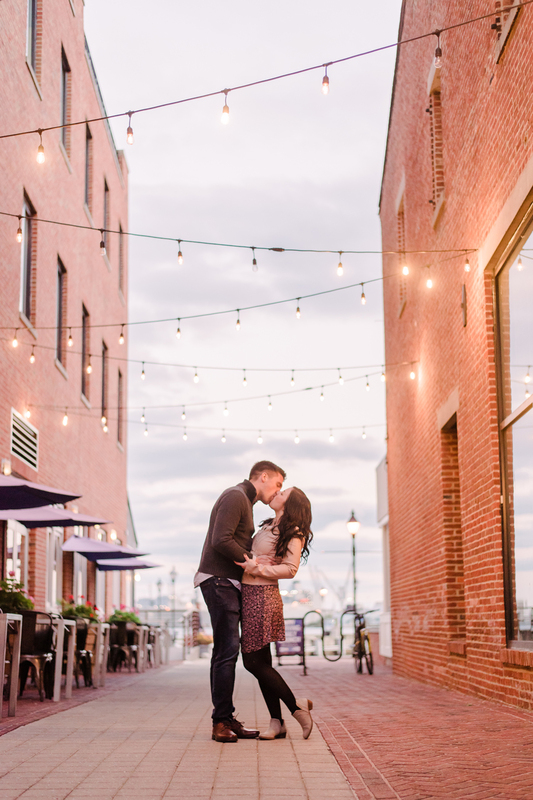 I'm so excited for Amanda and Dan and can't wait to capture their day this May! 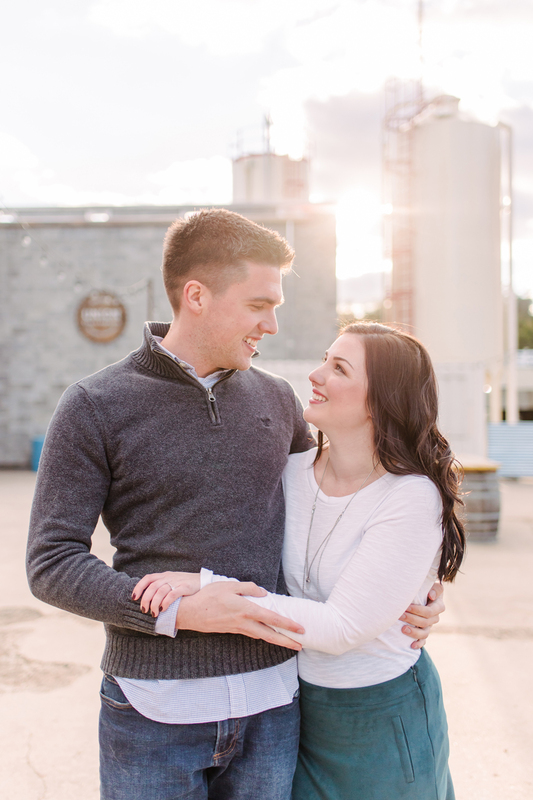 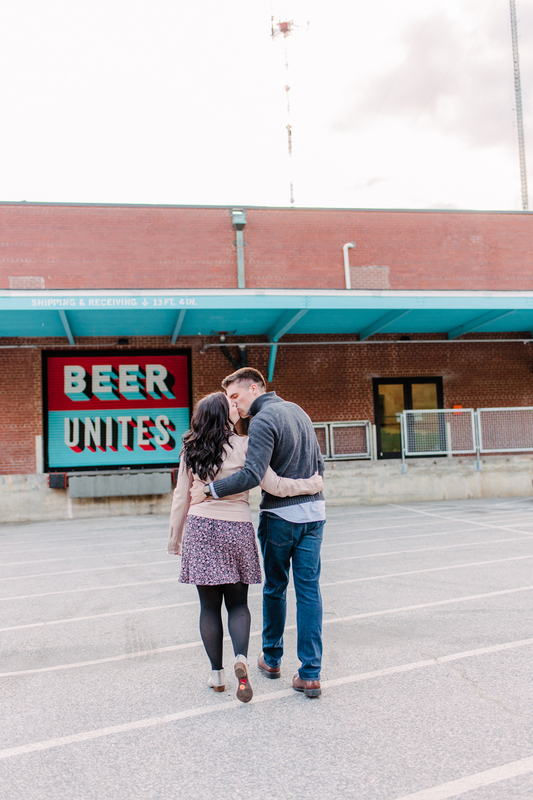 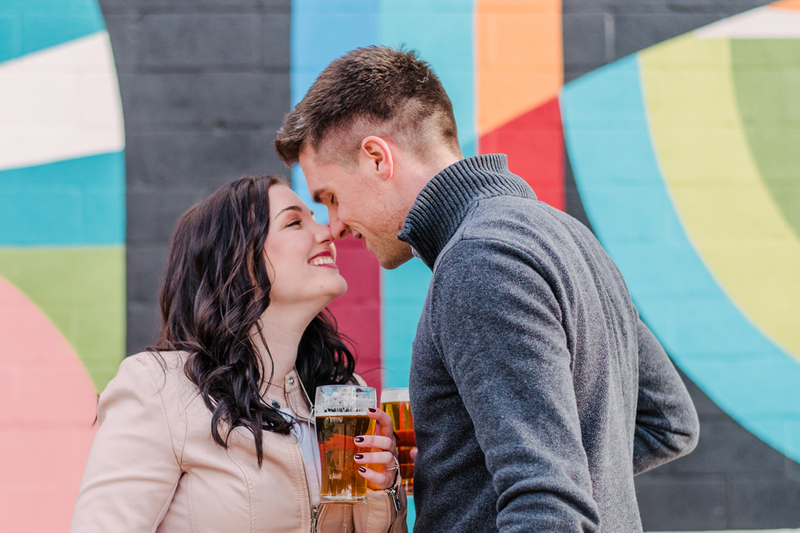 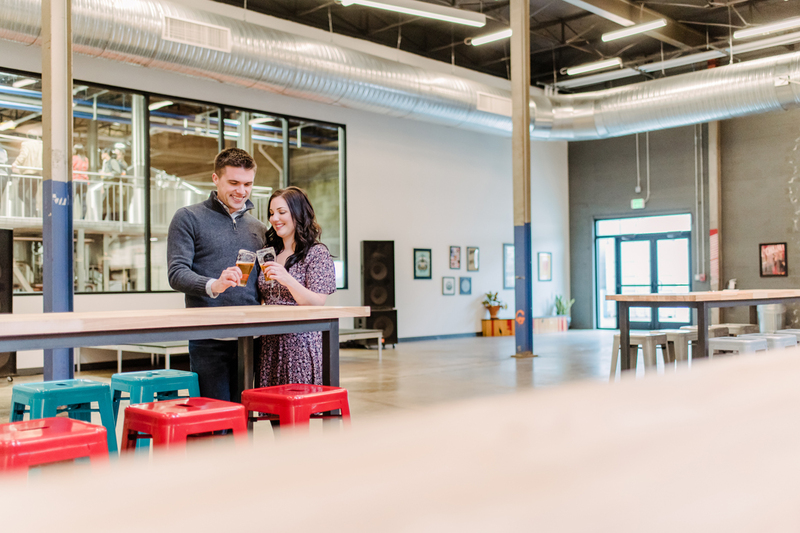 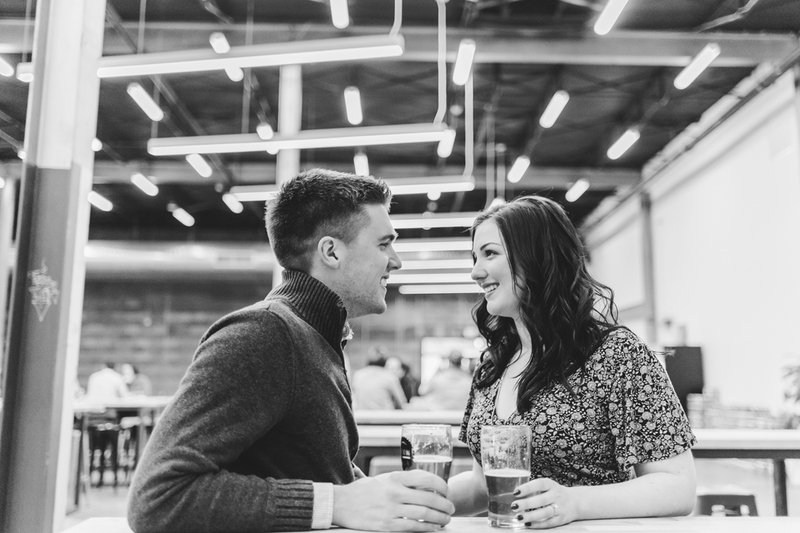 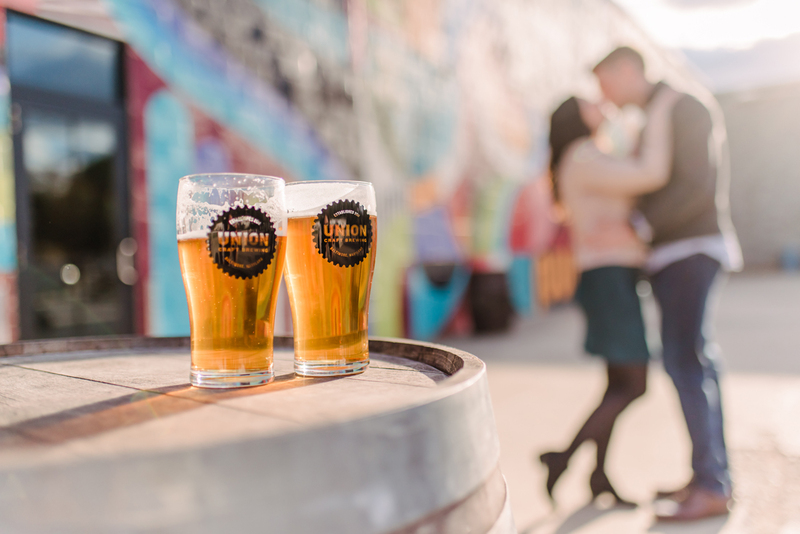 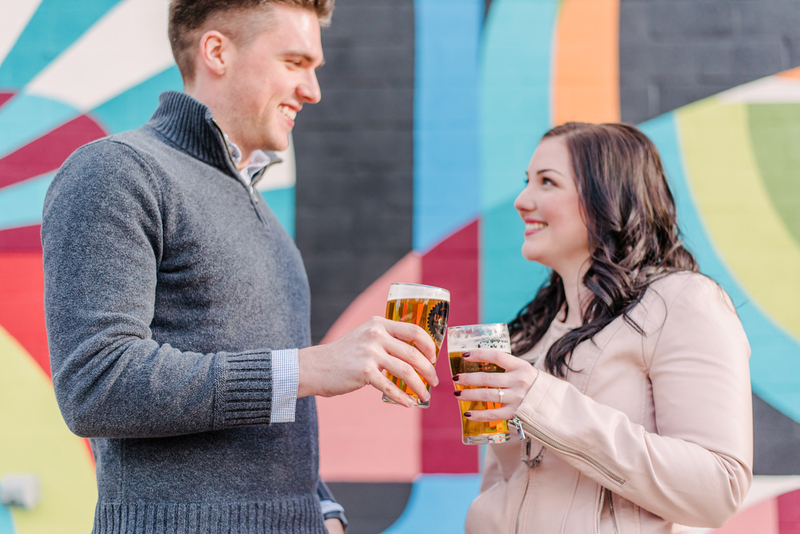 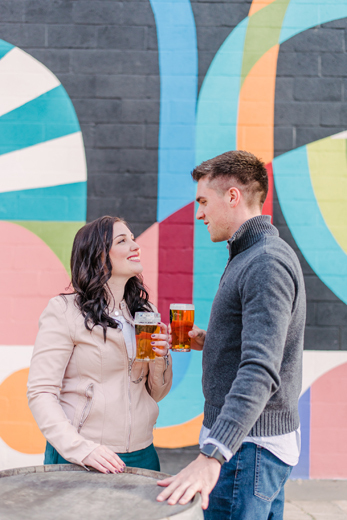 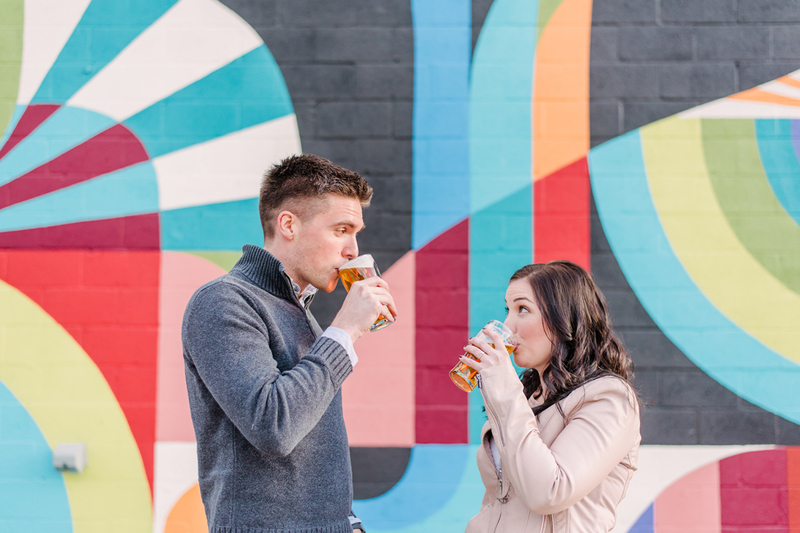 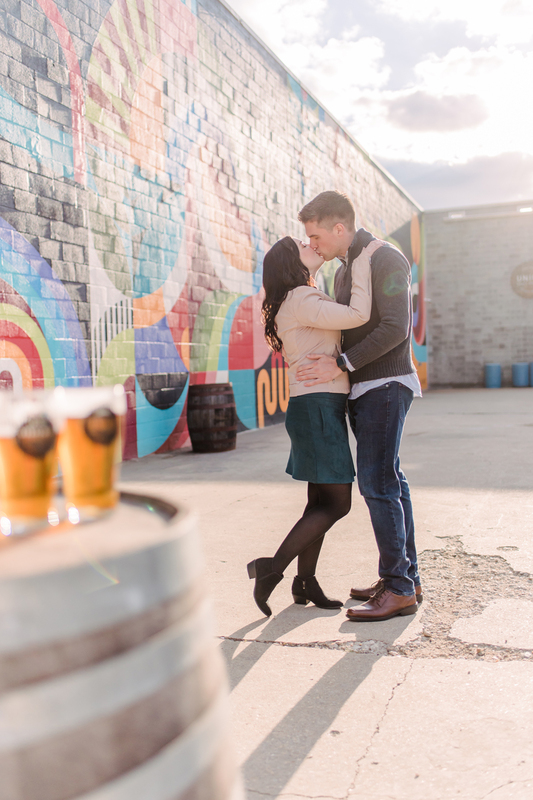 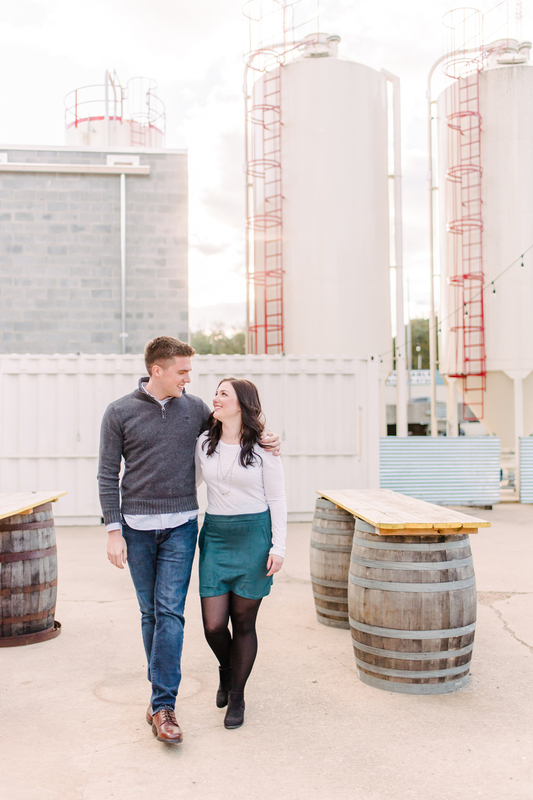 We started off their session at Union Brewing and got lucky with perfect partly-sunny skies and delicious beer. 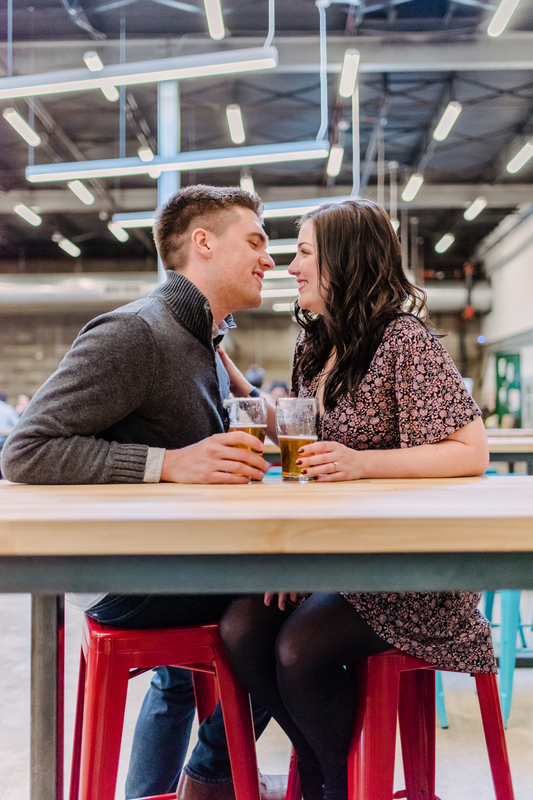 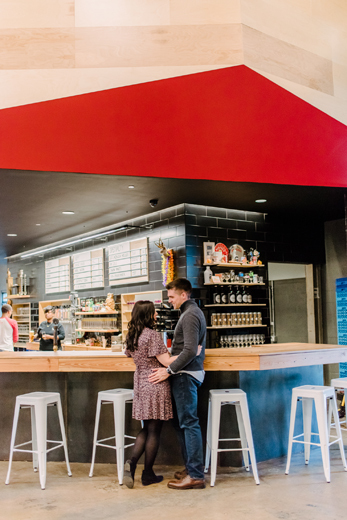 This spot is an urban brewery dream! 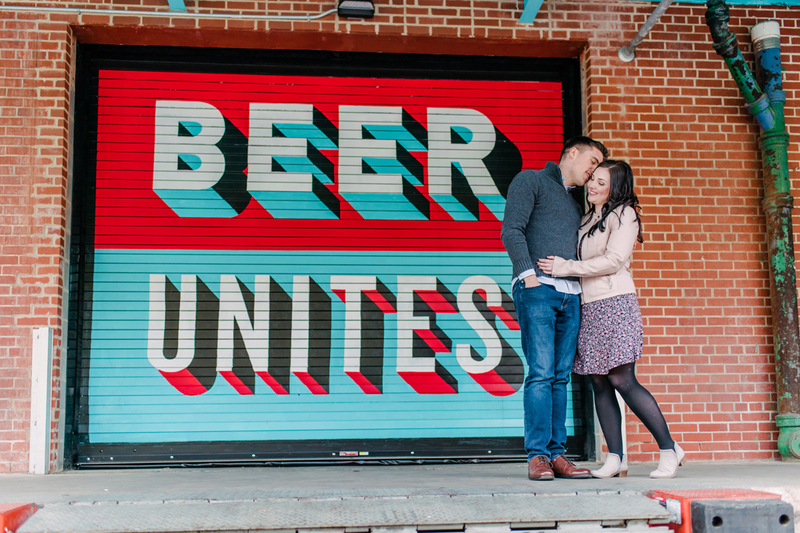 (and you might recognize it from last month's BaM Co-Create's Crafts & Brews Maker Market!) 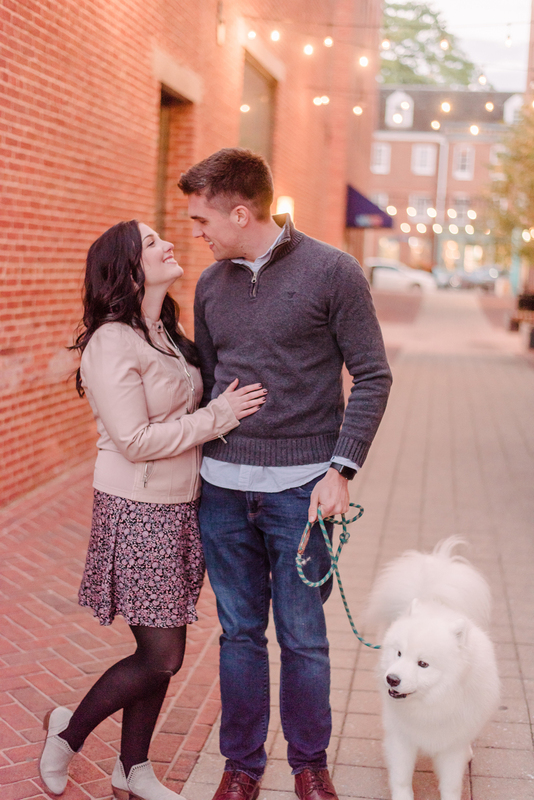 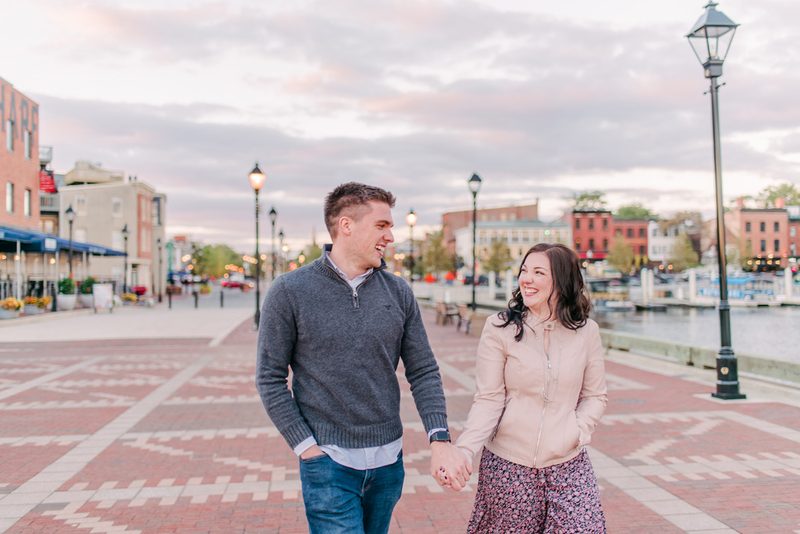 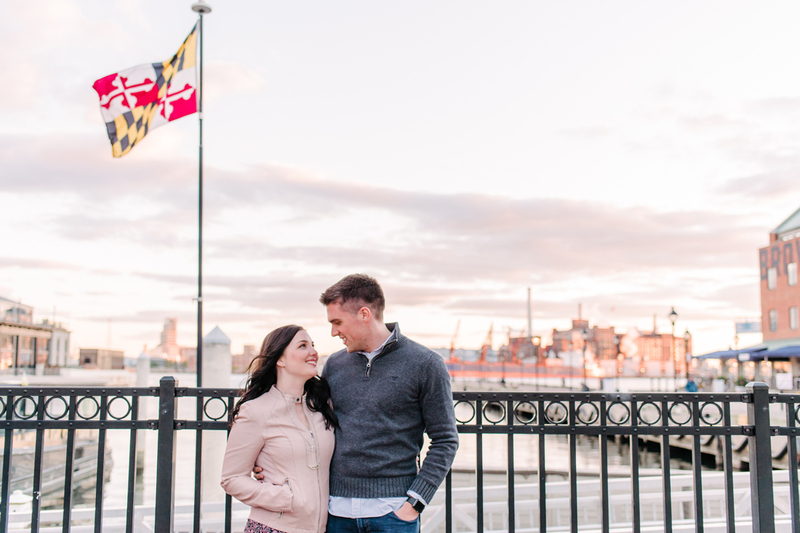 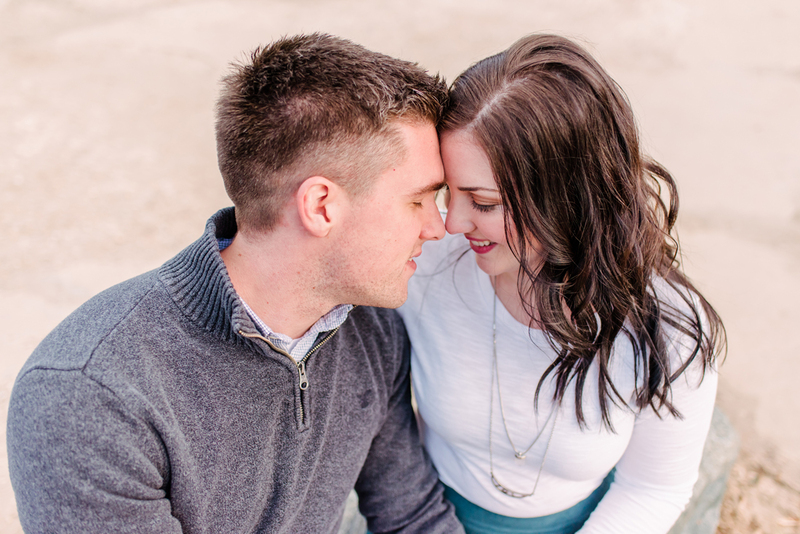 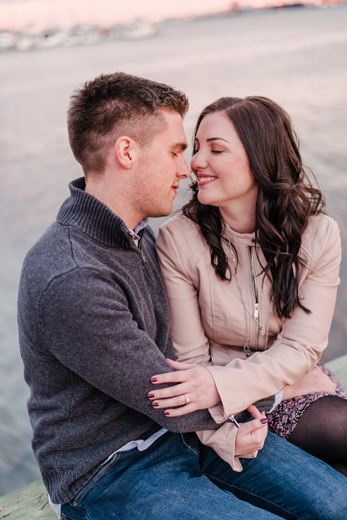 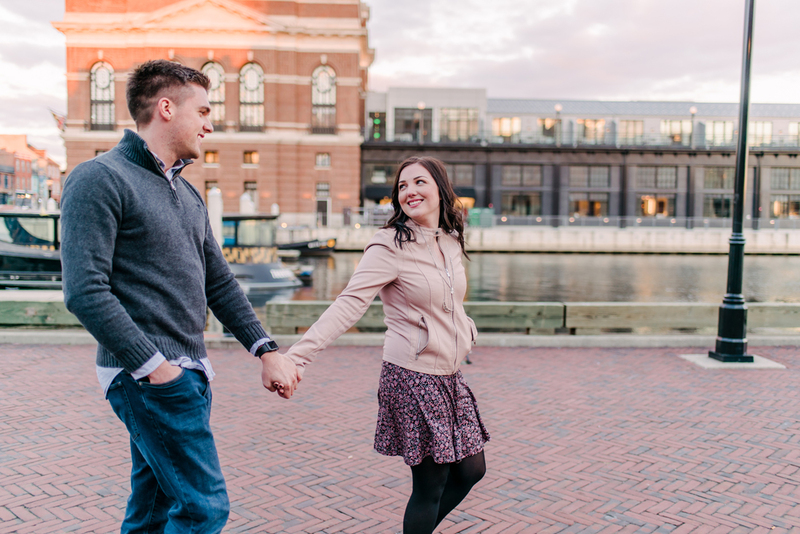 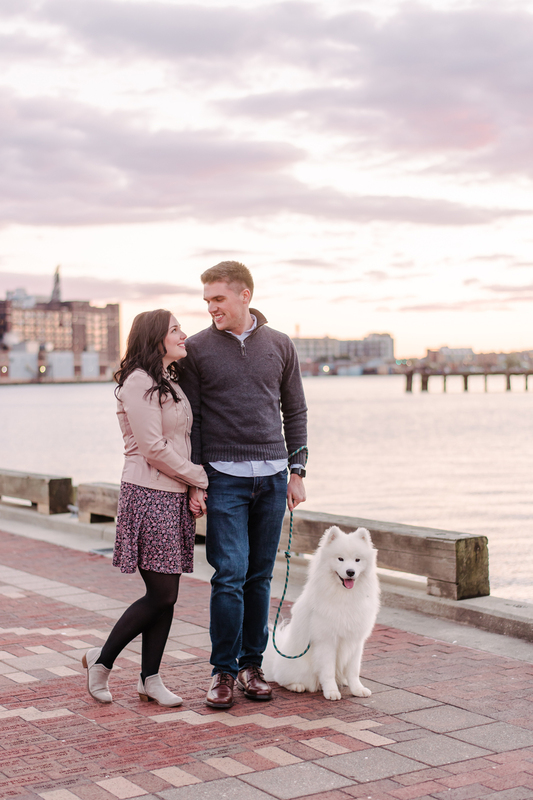 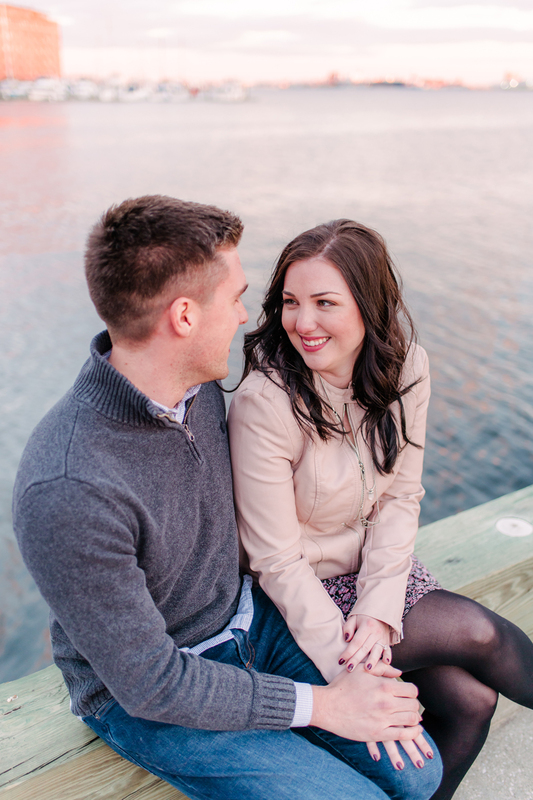 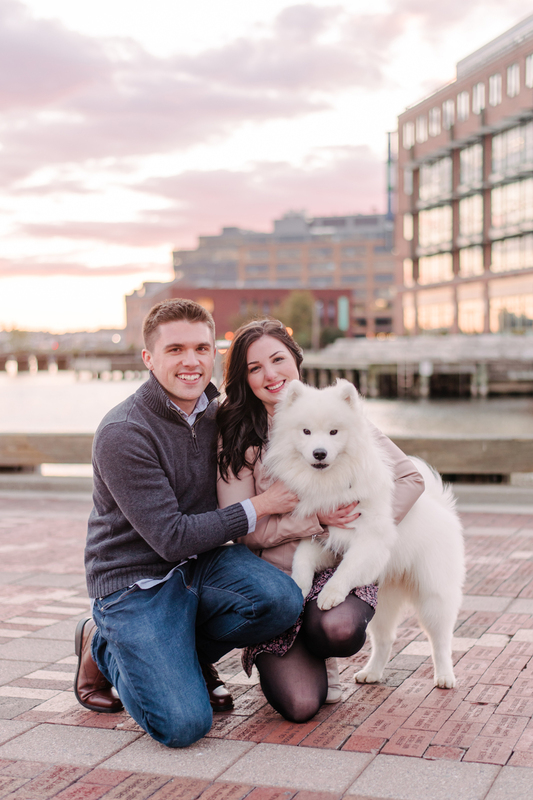 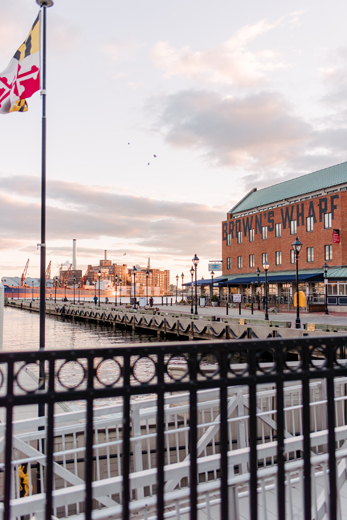 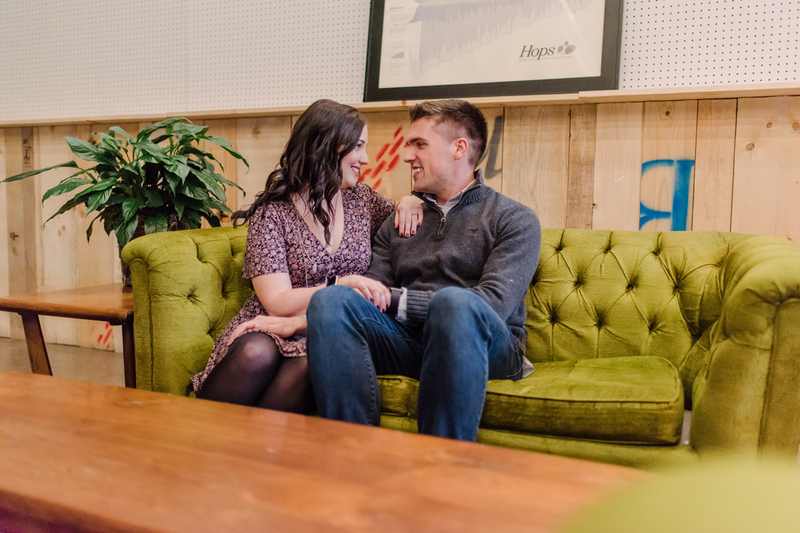 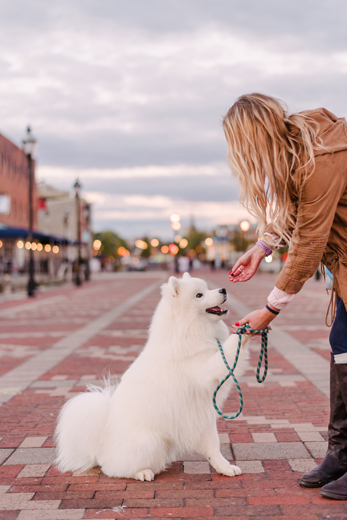 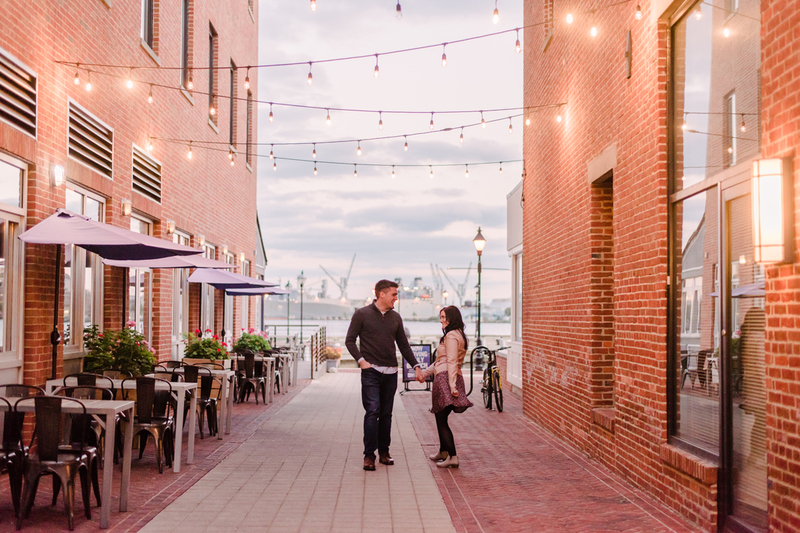 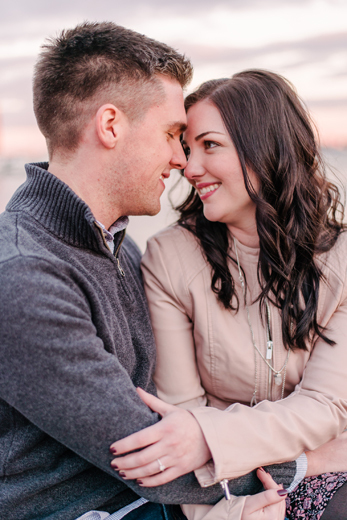 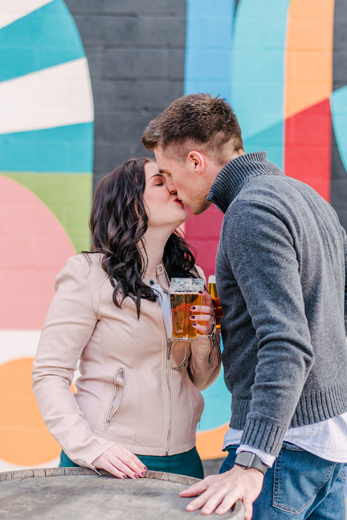 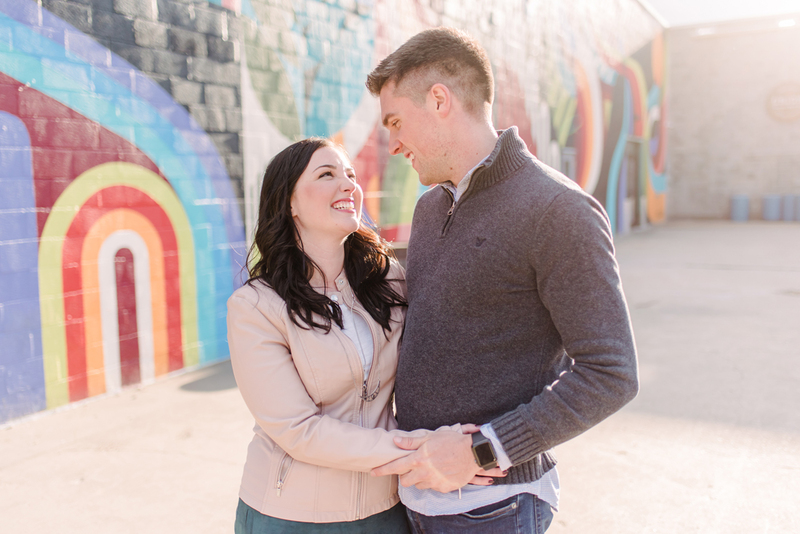 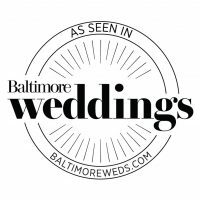 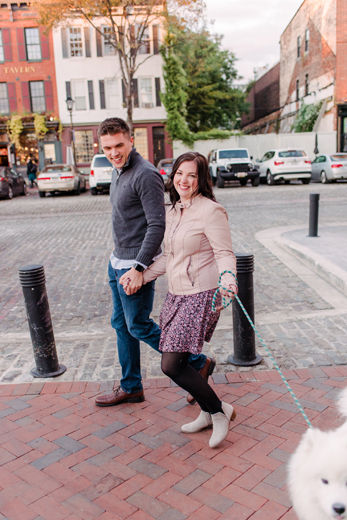 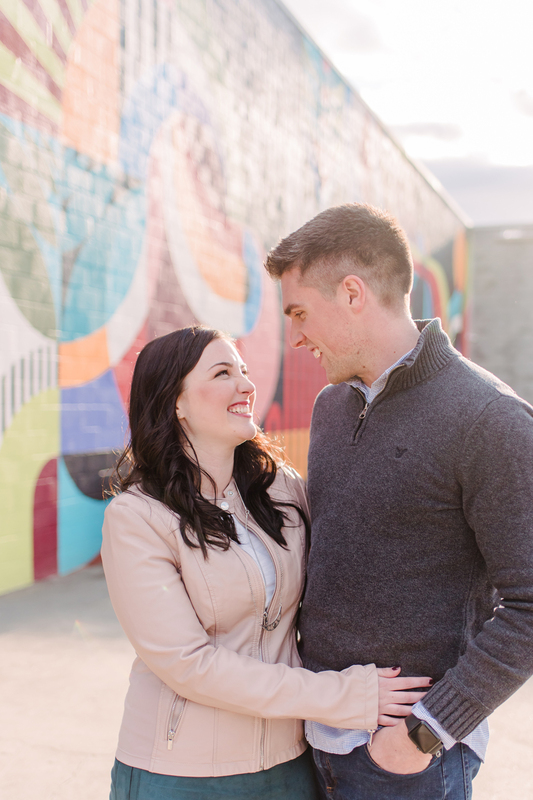 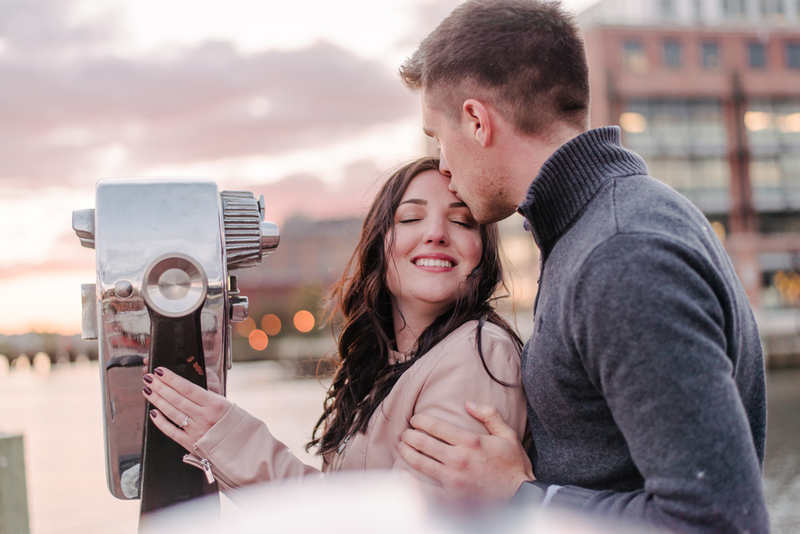 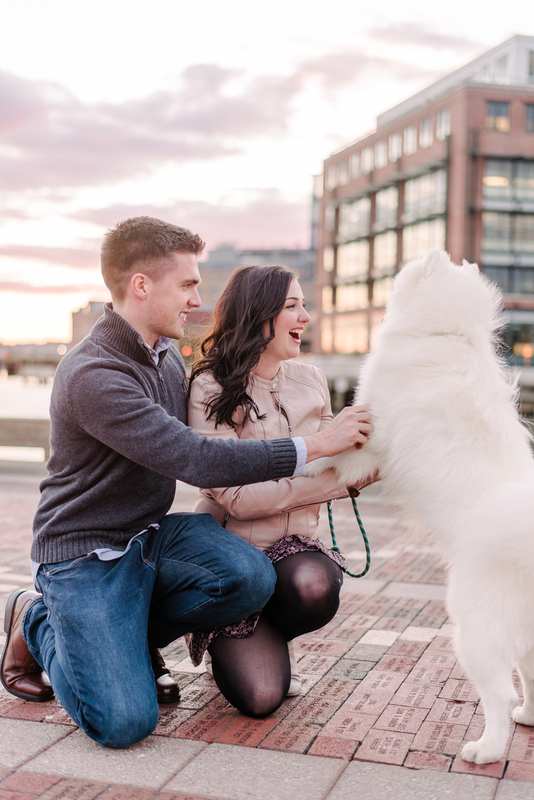 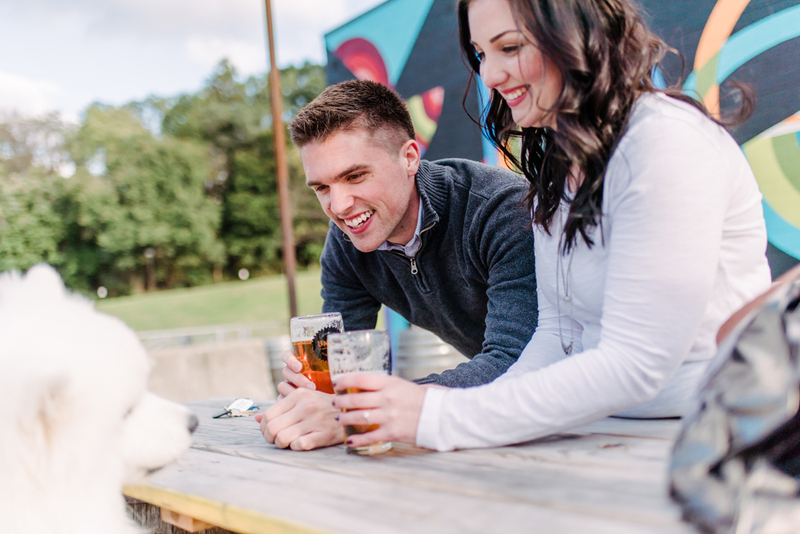 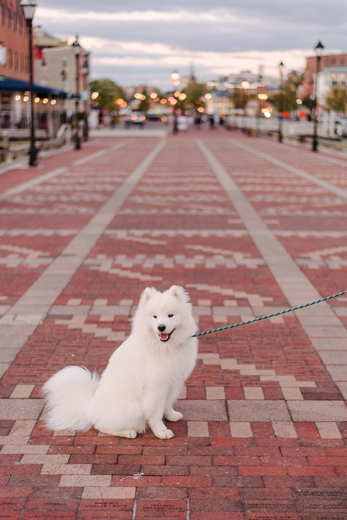 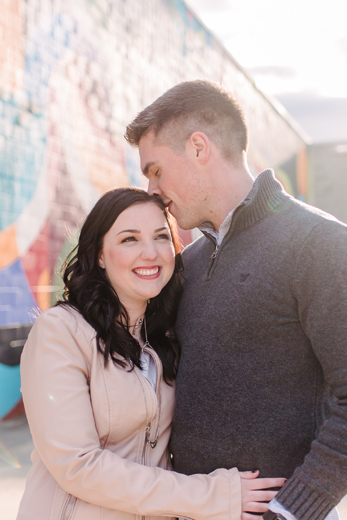 and then headed to Fells Point just in time for a stunning sunset, string lights, and more adorable photos with these two and with Sonny Jim! 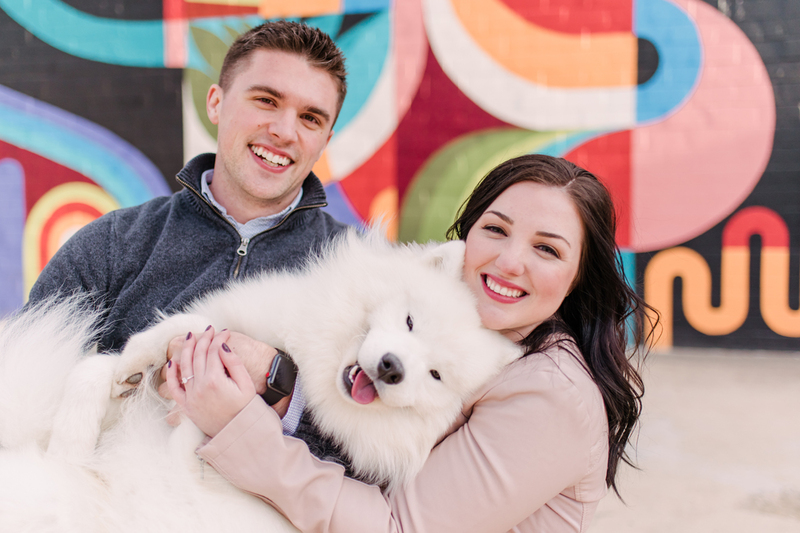 And shout out to Emily, our puppy wrangler for the evening, and to the Jordan Thomas Salon and Spa team: Kristyn Everson for hair & Brieann Du Val for makeup!